Remember that spectacularly sanctimonious plan hatched by German Newspaper Bild to force every single one of the country’s top football clubs to wear “We’re helping – #refugeeswelcome” badges on their shirts? Well, it spectacularly backfired. The only thing that was trending over the weekend was #BILDnotwelcome, across the whole of Germany in fact. Seven top clubs also boycotted refugee propaganda and numerous “Bild not welcome” banners appeared at football matches. The campaign, ran by supposedly right-wing tabloid Bild in collaboration with the German Football Association (DFB), was supposed to see all 36 of the clubs in Germany’s top two football divisions wearing the badges. However, first to refuse to participate was FC St. Pauli, Hamburg’s second football club, follow in quick succession by a further seven clubs, Spiegel reports. 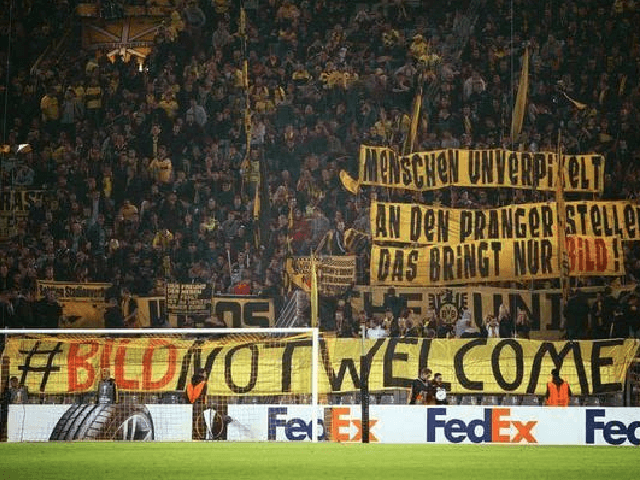 The #BILDnotwelcome banners were spotted at several grounds, including key matches between Darmstadt and Bayern Munich, and Borussia Dortmund and Stuttgart. Bild is the nation’s best selling tabloid and has reported mostly favourably on the migration crisis. Many suspect that by splashing their own logo across the #refugeeswelcome badge they were attempting to improve their image with liberals across Germany. Duisburg club chose to wear special shirt of their own design, stating “Refugees Welcome” for their Sunday match against FSV Frankfurt. “We feared having a shadow over us, due to the campaign, in the coming weeks, so we dispensed with the (‘We’re helping’) badge on the arm,” explained the club in a press release. Germany is expected to absorb one percent of its entire population in so-called “refugees” in just twelve months. 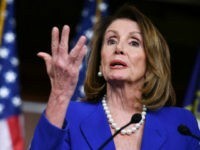 The numbers entering the nation illegally shot up after chancellor Merkel promised to offer asylum to any Syrian, no matter how many safe countries they pass through first and regardless of whether or not they come from a dangerous region. Germany was forced to close its borders about two weeks later because it was “overwhelmed,” and as the black-market trade in fake Syrian passports surged.